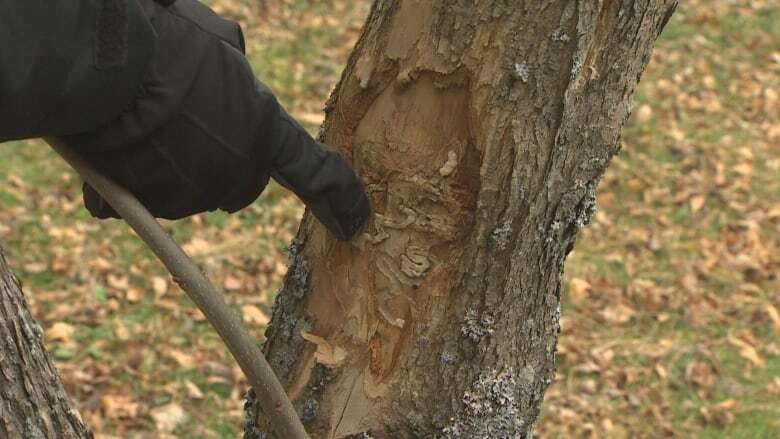 A Bedford park has become ground zero for the Halifax Regional Municipality's fight against an invasive insect that began wiping out ash trees in a number of Ontario communities more than a decade ago. The emerald ash borer was first spotted at DeWolfe Park in Bedford in September, and has made its destructive presence known. 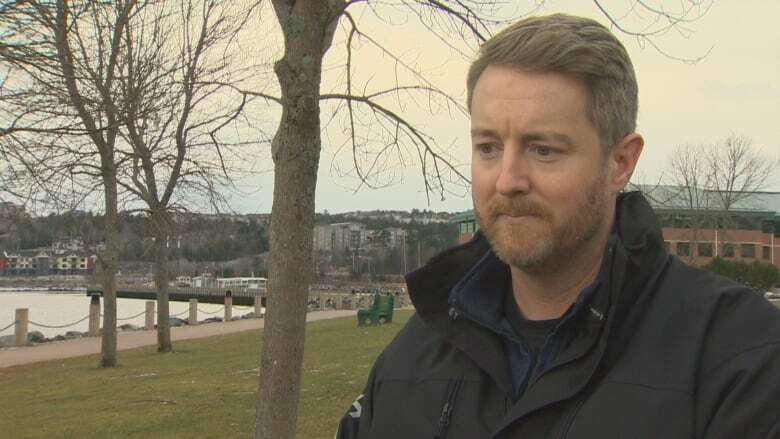 "We've already lost three trees here, which is usually an indication there are many more infected," said Crispin Wood, Halifax's superintendent of urban forestry. The beetle, which lays eggs on the bark of ash trees, was recently found in New Brunswick and as far away as Winnipeg. When the eggs hatch, the larvae burrow into the trees and start eating the live tissue. That prevents sap and nutrients from moving between the branches and the roots. The tree dies once it has been completely girdled. What happens to the emerald ash borer when it doesn't have any more trees to attack? Can the ash trees ever come back? 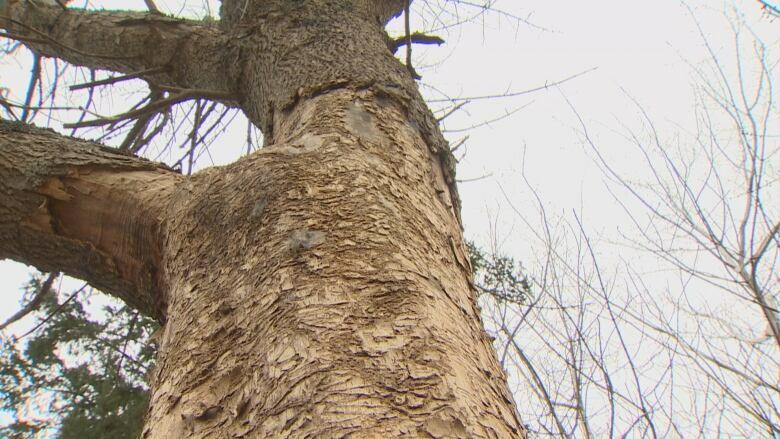 There are up to 9,000 ash trees in parks and along the streets of HRM, making up about five per cent of the municipality's overall tree inventory. But ash trees make up a larger proportion of trees in newer neighbourhoods. "Areas from the 1980s onward have a higher percentage of ash, up to 30 per cent," said Wood. 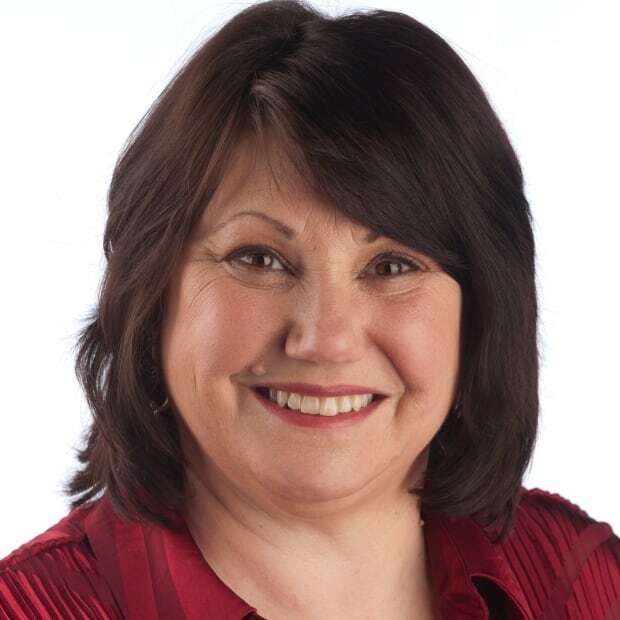 "It absolutely will have a real impact on the esthetics and optics of a neighbourhood." 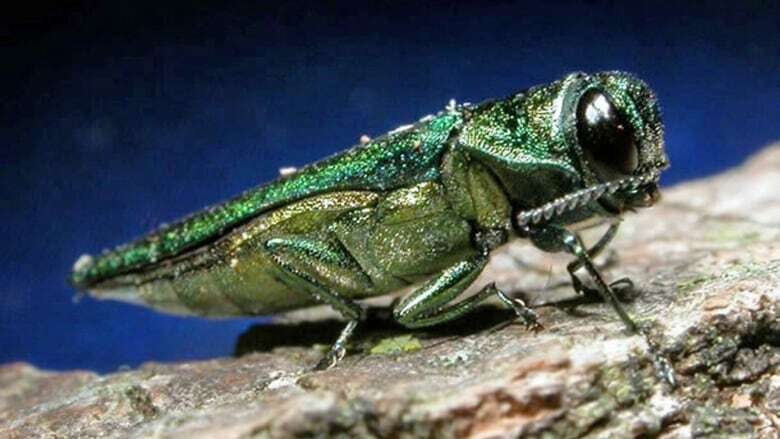 Treatments for the emerald ash borer can be expensive and ineffective, but Wood still plans to try some of them in hopes of slowing down the impact so not all the trees are lost at once. The cost of replacing all the ash trees throughout the municipality could be more than $10 million over the next five to 10 years.